Voice of Engineers - Helping engineers from all over the world with latest updates, tips, and best practices in engineering. There are many engineering students and professionals who choose management fields as their professional career line. For many engineers, it’s a matter of luck while for a few others it’s a field of choice. I am also an advocate of doing MBA after engineering and for that purpose I’ll share some thoughts and opinions which will explain you the myth behind this. Higher Salaries: First reason which attracts many engineers towards management fields is that it’s highly paid field in a less technical work environment. In most of the cases, jobs for fresh graduates are highly paid in management field as compared to technical engineering jobs. Engineers working on technical projects will earn less than those who are working on managerial positions. Although work schedule on technical jobs is very tough as compared to managerial jobs. Combined Functional and Technical Perspective: Because engineers who do MBA after engineering, prove to be a better asset for companies. Engineers and MBA both look at things in a different perspective. Engineers will always think in a technical approach and MBA will always think in a functional approach. Both approaches are important for business development. Now if an engineer is capable of thinking in both these approaches in a broader perspective, he can definitely play an important role in growth of an organization. This ability to utilize both technical and business skills to provide solutions is a valuable asset for any company. Better job opportunities: Finding a job after a degree in engineering is very hard in this era of Globalization and Competition. You need to have something more. You need to stand out from the crowd. Now how you do it, it’s all dependent on you. Some graduates chose to get some professional certifications. Interest: Of course this is another factor which drives us to do MBA after BE. As I said earlier, there are a few engineering graduates who do it by choice. Interest is their gravity which pulls them towards MBA. MBA is not always a non Technical job. There are many students who choose fields like Quality Control, Six Sigma, Total Quality Management, Sales engineering, Auditing, Health and Safety as their major courses in MBA. This opens a complete new door of opportunities for them where they can enjoy working in both technical and managerial environments at the same time. Looking forward to reading your comments and input about this article. Don’t forget to tell us what you think about studying MBA after Engineering. Your comments are a great source of encouragement for me to write more. I am a student of mechanical engineering currently in my 7th semester. I am planning to do MBA after graduating. My focus is on degree related to Project Management. Maybe MS in project management or engineering management. That's a nice idea. I am glad to know that you have already made up your mind to pursue your education in these fields. I am student of mechanical engineering currently in 3rd sem and in future after 7 to 8 yrs job expieriance I like to start company related to aerospace . Could u please tell me and guide how can I achive this goal. Heloo I am a civil enginner and i m planning to do master in international bussiness. .is there any use of study this course..and wot about the job opportunities In Germany about master in international bussiness. These days many universities and colleges are offering a degree for engineers with a title "MS in Engineering Management". Can you please tell which one is better? Doing MBA or MS in engineering management after engineering? Hey thank you for asking this question. Both MBA and MS in engineering management are good for engineers. Later is more related to engineering operations and projects. It's more about managing engineering projects and products. While on the other hand MBA has different options of study and specialization like Supply Chain, Project management, Finance, marketing and HR etc. If you are interested in Quality Control, then it's taught in both these courses. Hello mam that's a nice article. Kindly sometime also write about benefits of doing MS in Engineering. Ok great i'll write about that in a few days. Do visit my blog again in a few days. Hello dear abed alqader salami. No it's not like that. The program you are talking about is called "Executive MBA". This is a weekend program in most of the cases designed to cater the needs of executives. Rest of the programs like MBA, Engineering Management, Project Management, Contract Management. Quality Control do not require 3 year experience in almost all of the cases. A very nice article. This makes me push to take my MBA. I'm an agricultural engineer working as an admin staff and contractual employee in a govt.agency. I really feel the need of that course to have a better career opportunity someday. Great to know an agricultural engineer reading my post here. Best of luck for your future endeavors and study plans. I agree with you ayesha, I also recommend To do MBA, Because Engineering Students Have good analytical Skills and If they have Sound technical Knowledge,then it may be beneficial to their career with management degrees. 100% true. Analytical and Technical skills joined together can give you a career boost. I am persuing M.E and recently in 2nd year! M.E is basically a technical degree which is related to designing, machinery works, etc while MBA is related to management works! What is the need of doing mba after M.E?? I mean M.TECH is more suitable for a mechanical engineer! Please explain in detail :) and would also like to know scope after doing M.E and MBA? Hello Thank you for your participation. I am confused about what do you mean by M.E? I am assuming that you are doing Masters in Engineering. Right? No ! M.E means mechanical engineering. I am persuing B.TECH !! Ok so you are in B Tech. That's good. There is no need of doing MBA if you find technical work more attractive. If you have good interest in any of the subjects of mechanical engineering and you have real good grades then you must go for M. Tech in that subject. That's more suitable for you. Don't ruin your career just because MBAs are highly paid. You must take good care of your interest. It's complete waste of time and money. If your father has extra money in his accounts then you can waste that money in 2 years MBA program otherwise you need to stay away from it. There is no use of this course. By the way if you were interested in doing MBA in future then why you did BS/BE or B Tech in mechanical engineering? Why did not you choose BBA then? Just think about it. Save your money, save your time, save your knowledge of engineering. Once you are in MBA, you will forget everything about engineering. We need to keep practicing in our own field of study if we want to remember things and concepts. I hope you guys understand. Yeah that's true. Hell no use of doing this after such a difficult technical engineering course. It's not waste of time. It's never too late. You can always switch your field of study in your education. That's why MBA after Engineering is in trend these days. Hey it completely depends on you and what you aim at. If you have interest in Machine design then there is no need to do MBA. Just focus on your interest. There is only one tip for success in this field. That's "Hard work". If you work hard and gain more knowledge and skills in design field, then you will succeed. But if you are just saying this and learning no skills and software then you are going to get nothing. i have just completed my bachelors majoring in electronic engineering, do you suggest me to get admisssion in MBA or MS in engineering managment without any work experience? if yes then what do u prefer? MBA or MS engineering managment? Both programs are good to go with :) As your profile suggests, you are from Pakistan. I don't know if you are planning to do MBA or MS in engineering management from Pakistan or some other country. As far as i know about the situation in Pakistan, it's better to do MBA. But if you are planning to get admission in some foreign institute, then both programs are good to go. hello maam, thanku so much for such a fantastic article, but i had a doubt in my mind.. right now i have completed my B.E. and i want to do further studies.. if i get into an mba college then are my chances of getting a job less because i do not have any work experience in industrial area ? It's good if you plan to get admission in MBA classes right after your graduation without any job experience. Many students do this. It does not matter when you do MBA and makes no difference. I wanted to know that would it be a problem(job prospects) to do an MBA in Finance after having 2 years work ex as graduate trainee in a mechanical related company? I m doing ME now and my future plans are to go in management side,specially top level.Is it better for me to o MBA and what is total duration of MBA?????? Yes if you want a better career in management then you must do MBA to gain more skills. Usually duration for MBA is 2 years. But some colleges are also offering 1 year MBA programs. There is another program called Executive MBA or EMBA. Introduced to facilitate working managers. If you have 5 years of job experience then you can apply for this program. Most of the classes in EMBA are scheduled during weekends. There is a confusion in my mind between MSc in management and MBA.Please guide me about it which one is best for me as for as jobs are concerened in pakistan? Dear Ayesha Ma'am, reading this article has helped me make up my mind to pursue MBA and thank you so much from the bottom of my heart. But then again a few questions arose in my mind and thought if you could help. I have Graduated in Instrumentation & Control Engineering in 2011 and have been working in an Automation company in Mumbai since last 2 years. Now, firstly, they say it is not worth doing MBA if ur not in the top 10 college of the city and I have friends not getting job even after doing MBA in a descent colleges. Secondly, I go into a great jeopardy, when it comes to choosing a program in MBA, like whether i should go for marketing, finance or Project management program. Considering of having a long term goal becoming an entreprenuer, what according to you will be best suited for me??? Hello Monil Tanna, I am glad to see your comment here. 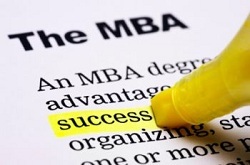 Yes you are right about doing MBA from an institute with good rankings in business studies. You see investing in educational institutes is a safe heaven for investors and business men these days. There are so many colleges offering degree in MBA (even Engineering) but not all of them are providing quality education which is required for future business leaders. I hope getting admission into one of the best colleges will not be a problem for you with 2 years of work experience in automation industry. Secondly, as you said some of your friends were not able to get jobs even after MBA. You see job market is very competitive these days. So this is happening everywhere. Only those graduates succeed in getting a job who have better portfolio with some professional certifications. If you are interested in entrepreneurship and start-ups then why don't you choose a program which is more focused on entrepreneurship? In this course, they will teach you everything from Finance to marketing to project management. Hi Ma'am, do entrepreneurship programs offer job placements after the term period?? I think chances will reduce as compared to MBA in other program. I'm actually a business student switching to engineering, and your article has helped me go keep pursuit of the Mbabane as well as my new found engineering! You are doing great. Which field of engineering are you gonna join then? What do you mean by duration of MBA after BE engineering? It depends on business colleges and institutes. Some are offering 1 year program while others are offering two year programs. Is Master of Engineering Management a good option after B.E., I am currently in 7th semester of IT Engineering. I have read about this program but I couldn't get the exact idea of it. So if you could also tell more about this MEM? but i discover some ability in my practical life that i always love to manage the things & when there is some shortage of any resource i can easily find the substitute of that resource & the only thing i found interesting in my b.tech is subjects related to management(like: industrial management,total quality management,etc) , so what's your opinion regarding my problem i mean to ask should i go for mba? if yes then in what field? i'll be very grateful to you if you give some guidlines . engineering management. but i was confused that it will help me are not,,by reading ur article nw i decides that i wil do. But plz tell me mba( marketing) is impotant for engineer or if i do m.s in management so which one is better. Could you pl. suggest which MBA specialization, I can choose. I have 8 years of work experience. I am mechanical software engineer. Hello sir, what do you mean my "Mechanical Software Engineer"? Are you a software engineer working in mechanical sector or a mechanical engineer working in software development sector? ma'am ..I am in final year of b.e mechanical engineering.. . for sure I don't need such technical any more.....but I am in a tendancy to pursue something more which can earn much money....can you suggest me any course other than mba which makes my b.e. useful along with itself.......? I suggest you to consider engineering management. But i think it would require a couple of years experience. Hi, I hold an engineering degree in ECE. I would like to take up MBA Finance through distance education. Will MBA Finance be a difficult task for me since am not from Finance Background? Would you please give me some idea regarding this. Thank you!! I didn't read total article except the last few lines... out of passion kinda thing. Yes.. i'm an engineer who worked for MNC as SE. It is in 2012 i came to US to do my MBA. I did it. I did it with utter passion. ( kinda university topper i.e. 4/4 gpa , merit membership into delta-mu -delta- an american management association) and look at me ...where i'm. again into SE. So, don't expect sudden changes in your career. However, don't get discouraged. after 2-3 years of work where my manager wanted a HR-executive, a strategic planner, a project manager , i'll be his first and foremost preference, in fact the only alternative to go. only technical will give u 6 digits, but not position . only managerial will give u position but not digits. finally look at me, a dumb fool donno what i'm talking. I m B.tech Ece 2013 passout and currently working since 3 months.I want 2 go 4 distant MBA in parallel wid my job.Is it beneficial 4 me? I have 5 years of work experience back in India as Tendering/Proposal Engineer,working with an Electrical Manufacturing MNC. Now I wanted to have Masters,will try to get admission in best Engineering Management Universities. But my biggest fear is what are the chances of jobs after MEM? I do not have an expertise in a particular product,but was looking at Brown Field/Refurbishment Projects.Pls help! Great Article mam...but there is still some cloud of confusion...m pursuing my engineering from a reputed college with civil being my major...bt i have no interest in civil engineering nd i got it by luck nd nt by choice...so i wanna seek your guidance whether i shud do mba to change my field? what is the scope of doing mba after completing be (mechanical)? hello maam i m from pakistan and i m doing ME.i just wanted to know that is it better for me to do MBA or MS in management.kindly please guide me breifly??????????????? great article!!! you just wrote the truth!!!! gud job!!! Hi maam, ur article was extremely helpful, but i have some questions... I am doing bachelors in electrical engineering, but i am confused that after graduation should i go for mba straight away or should i do MS in electrical engineering first and then pursue mba? Secondly if i pursue mba after graduation, do i need to do MS in electrical engineering as well? Lastly, do i need job experiences in between these degrees? If yes, then for how long should I have an experience? Your help will be really appreciated..
2:the engineer who is interested in Production,and business . He must go for Mba. hello ma'am,i am a 3rd year btech student from electronics and electrical background..i wanted to know a bit about the msc in management programs in UK and if pursuing it would be worth it...what are the placement scopes and is work experience is a criteria or not? Dear Ayesha Ma'am, Thankyou so much for such a fantastic article.My daughter has completed her B.E (Electrical), and will be completing her MBA in Marketing in May-2014. Between B.E and MBA she worked for one year as Graduate Trainee Engineer in a Multi national company. She has scored very good marks in B.E and MBA till date. What is the scope of her getting a good job? Thanks in advance. Hello Mam, My daughter has completed her B.E (Electrical) and will be completing her MBA (Marketing) in May-2014. Between her B.E and MBA she worked for an MNC for one year. What are the scopes of her getting a good job opening after completing her MBA. She has scored good marks in both BE and MBA. Thanks in advance. i am final year b tech student of mechanical engineer.i am intrest to do MBA..it good for me to go with MBA?if yes then where in india or out side india.. I am a mech engineer. Working in an automotive industry. I would like to pursue my career in management field. I have 1.5 years of experience by now. Can you please tell me , How good it would be if I do operations management. I would also like to know the work bein an operation manager. hello ayesha mam i read your article and i find it very useful so thanks a lott..!!! and i have one designing job in my hand which i will be joining in coming 3 months so i was confused whether this job experience is going be useful for me while getting into good mba college or not? so please help..! hello mam...im currently purusing ma B.TECH(CSE) 8th sem..i would like to pursue mba after my degree?...i would like to choose mba in HR and Diploma in Banking and finance..Will that be helpful mam?? I have completed b tech(EIE) in the year 2012 & now i am working as an Automation engineer(Industrial Automation) in a Siemens system house..
Other than CAP(ISA Certificate) which courses(certificate/master) can boost my professional career to its peak.. There are some people who doesn't have any passion on anything.The only thing they look for is profit which is financial remuneration in most of the cases.Most of students of this kind go for MBA after engineering.I myself being an engineering student from an top institute can say that i have never seen an actual talent to go for MBA.Those people who go for MBA after engineering never had passion and interest in engineering.They don't have passion in management either.They only have interest in money. I wanted to know, that what field of MBA should engineers peruse? Marketing, HR, etc? Hello ma'am, your article is very inspiring. I am in 2nd year of electronics and communication engineering and one of my friend told that B.E students are payed less if they do MBA compared to students who have done B.com and BBA, is this true? ?And please tell me best field in MBA and best college in bangalore. Thanks for your valuable comments....i am BE ECE Graduate 2013 passed out student currently working in Firmware Development and Testing of Private Product Engineering Concern.. i am interested Engineering sales/ Quality Control .. so after two years of work experience planning to do E MBA ... Can you Suggest best campus in south INDIA …. i m also confused in selecting sectors Markrting/Project managemnt .. Please Guide me to find the solution.. The article is quite interesting.l am a graduate in mechanical engg.i would like to do MBA.can you suggest me the arears that i should specialize..
y cant i get experience after i do MBA?? hi mam i am musadique husaain arain mam i was done B.E in matallurgy and materials engg but in pakistan job of that field is very less and the pay are also les so i decide to do MBA and now i am doing MBA and complete my one year now its time to decide specialization but i am confused which is better for engineer mam i have only four choice 1. finance, 2.marketing 3. managment, 4 HRM mam give me suggestion which one is best for as future growth? hello, i just pass out b.e. in electronics and telecommunication branch. i am so confused to select branch of mba?? any suggestion?? I'm currently in final year of B.E. in mechanical engineering. I have got job in an MNC IT firm and I wish to work in it for at least 2-3 years. but I wish to complete the post graduation after that. after reading the article, I now think that MBA will be a nice choice. I want to ask you what kind of MBA should I choose to do? I'll be doing it in india itself. I mean, I don't wish to leave my job. so, what kind of MBAs I might opt such that it'll best suit my needs? Hello ..I have completed my degree in mechanical engineering.I would like to work in airlines sector.Is it a right choice for me to do MBA in aviation.Also doing so will i limit myself to airlines department or can i work in other private sector also.please give suggestions.I would love to hear from you.Please mail me maneesh.j.21@gmail.com. I have completed my BE from mechanical engineering and have 2 yrs of experience in production and quality department.Furthermore I am more interested in operations,sales and project management.please suggest me as I am confused which branch to opt for in MBA and whether I should continue MBA with my job i.e distance learning or go for full time mba. Yeah it is true that doing Masters i.e MBA increases the job prospects of candidates & gives them lots of opportunities.We all know how how the Indian job market is and that's why we required some professional skills, to get high profile jobs and for the same reason many engineers prefer doing MBA after engineering. Thanks for sharing! I love to read and moderate comments. Refrain from spam or your comment will not be approved on "Voice of Engineers". Which is best engineering field?